Shop owners can give customers and visitors the option to share public wishlists. Each share channel can be activated or deactivated. 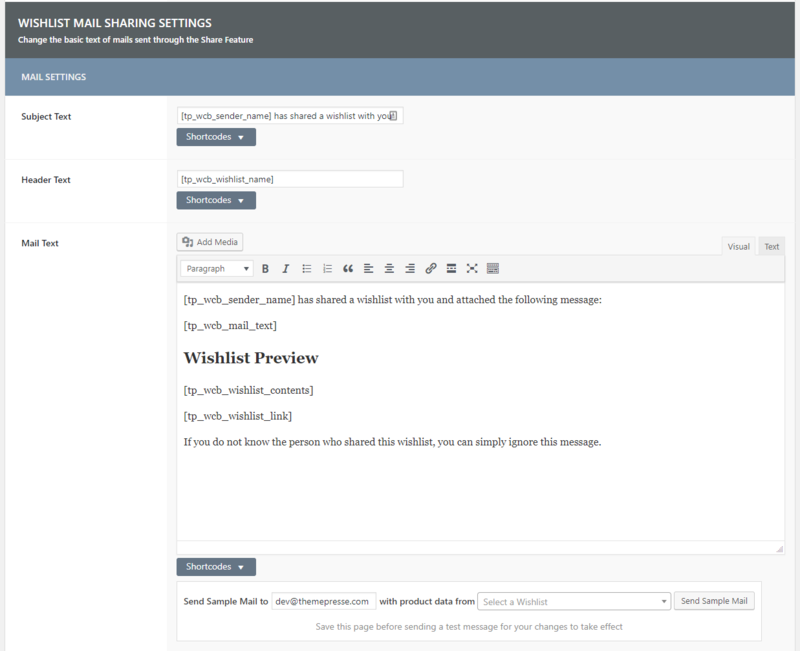 One special case is the sharing of a wishlist by email. Here shop owners have the option to either let visitors share wishlists through a mail form that then sends out mails directly over the site generating an html email or simply link them to their email client of choice. If you choose to not use the mail form to share wishlists you can ignore the rest of this page since it won’t be applicable to your use case. 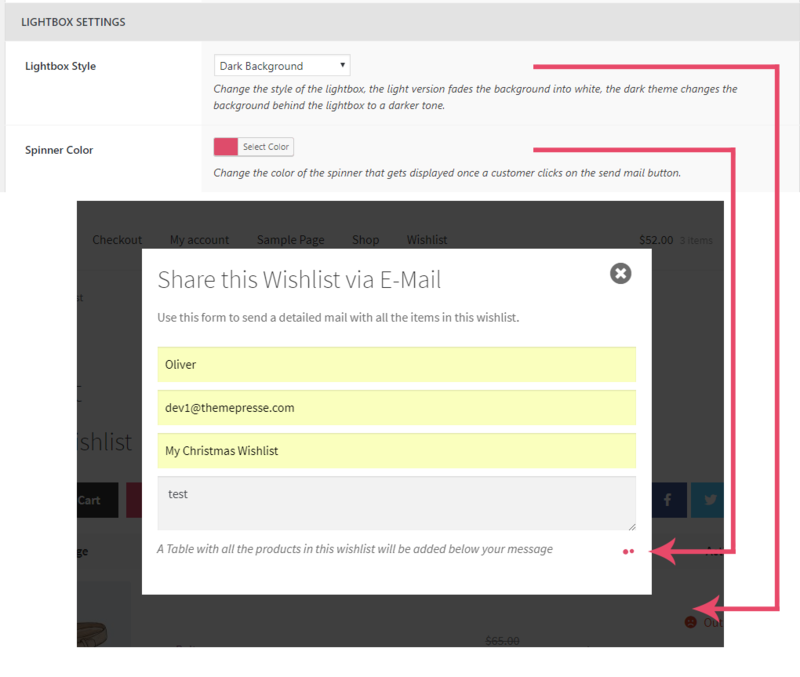 Change the background of the lightbox that shows the form for sharing wishlists by mail. Changes the color of the small spinner that indicates the the form field is being sent out. To see how a shared mail will look like you can use the sample mail field directly under the input field for the body text. Simply enter an email you want the sample mail to be sent to and choose a wishlist. 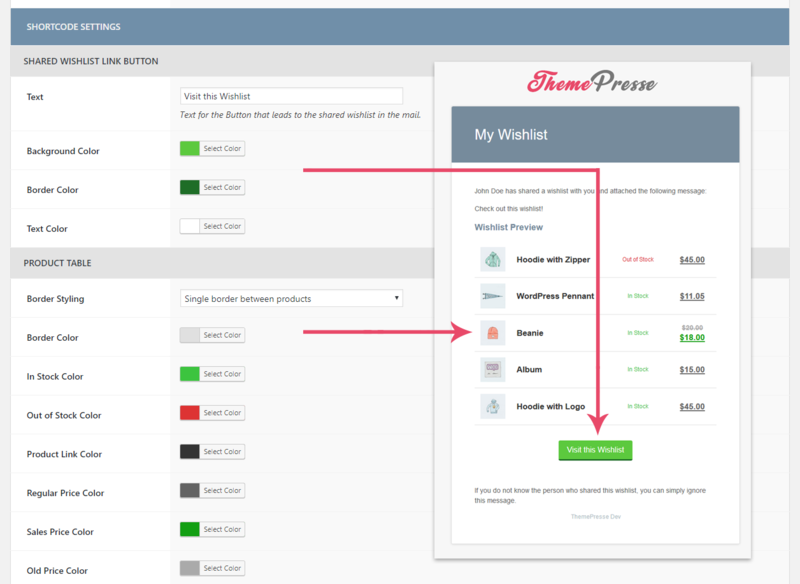 The shortcode settings let you change the style in which the product table and the „visit wishlist button“ is beeing presented in the shared mail.